Hill Interiors wholesale range of interiors accessories has always had a great range of fully functional hat, coat and umbrella stands designed to complement any household. We've got a number of designs and colour options to suit. Hill Interiors wholesale range of interiors accessories has always had a great range of fully functional hat, coat and umbrella stands designed to compliment any household. We've got a number of designs and colour options to suit. 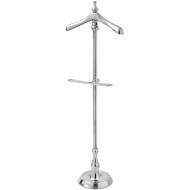 Browse our collection of wholesale hat, coat and umbrella stands today. Login in to your account to view our amazing trade prices and order today using our secure process.